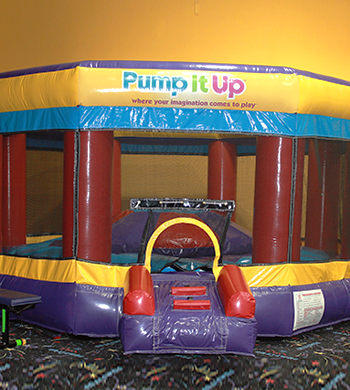 At Pump It Up, our gigantic inflatable rides and other interactive games are top notch and designed especially for our company. Not only kids can get on them but ADULTS TOO!! 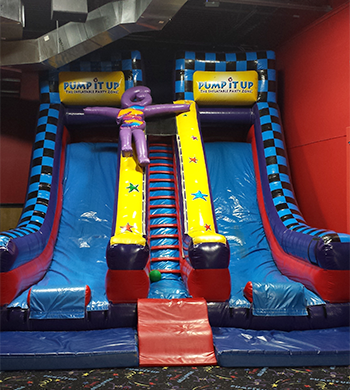 Book your party or other event with us and come check them out...THEY ARE WAY COOL AND SO MUCH FUN!! 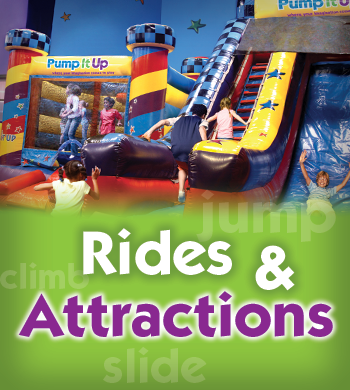 A combination of a rock climbing wall and dual lane slide – friends rush to this ride to see who makes it through first! 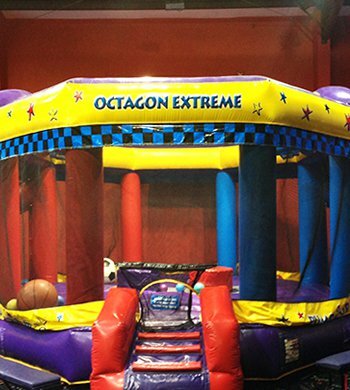 Jump, shoot some hoops, score some goals or joust...sports enthusiasts get a kick out of this giant inflatable! 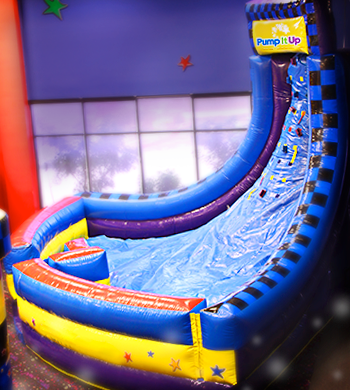 Compete with your friends to see who can scale the slope and be the first to grab the flags at the top! 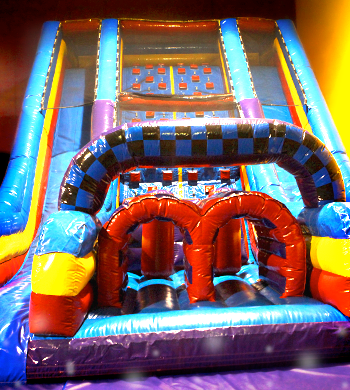 This awesome double slide is way fun and way cool...you gotta try it! 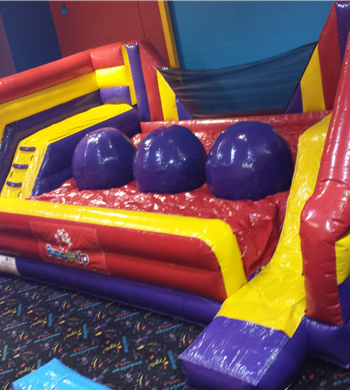 Our junior bouncer especially for the little ones, ages 1-4. 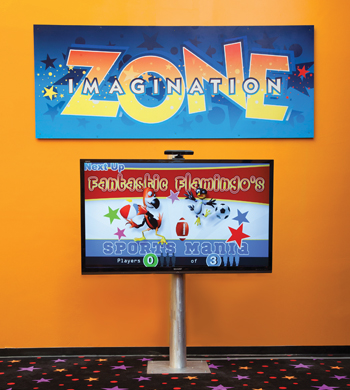 This interactive game is part of the world's first Augmented Reality Systems...it surrounds kids and puts them in the middle of the fun and fantasy! It can immerse up to 4 players in a 360 degree creative craze of digital entertainment. 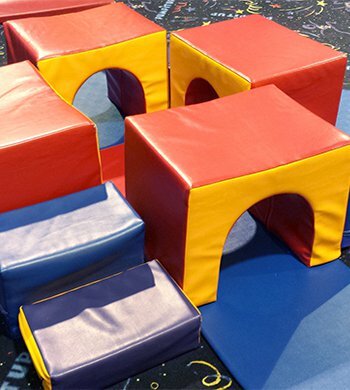 Kids play this interactive floor game using their feet. 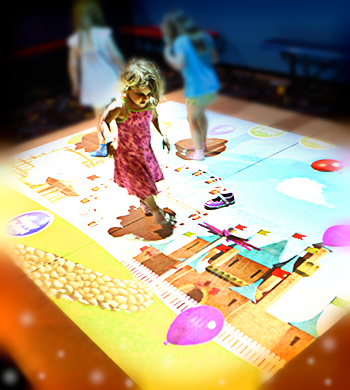 Its projection turns the floor into augmented interactive fun. 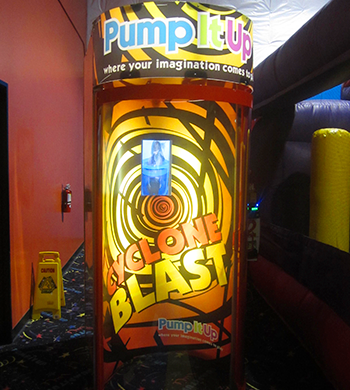 It includes a customized playlist of games such as Balloon Popping, Super Soccer, Ball Pit, Piano and Disco Floor. With speeds of up 78 miles per hour you’ll feel like you’re in a tropical storm on this ride. Go on – you’ll be blown away! Kids turn these blocks into a tower, a fort or a bridge – whatever they can possibly imagine!